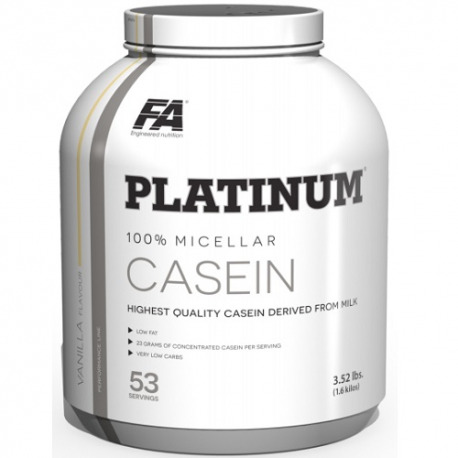 PLATINUM MICELLAR CASEIN® delivers the highest quality casein derived from milk. Casein is a special kind of protein with prolonged absorption time. Slow digestion of casein results in balanced release of amino acids into the bloodstream (up to several hours). Furthermore, high content of BCAA and glutamine in each serving additionally support long-lasting anti-catabolic effect. Due to that PLATINUM MICELLAR CASEIN® can inhibit muscle catabolism during long breaks between following meals or can be used as a "night" protein supporting anabolic hormones peak during sleep. 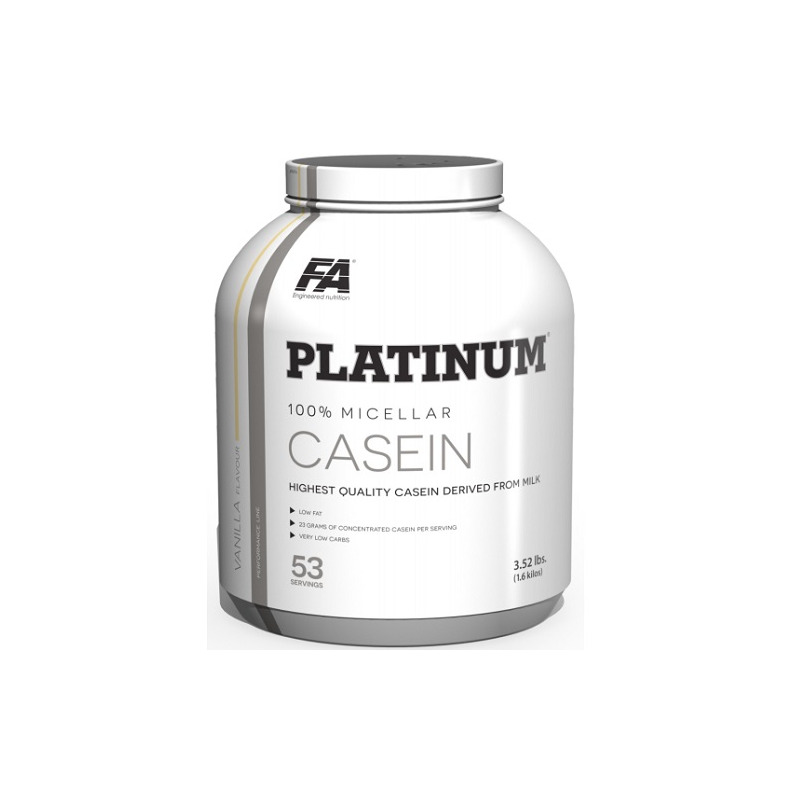 PLATINUM MICELLAR CASEIN® contains AMINOGEN® - digestive enzymes complex which supports maximal digestion of delivered casein so almost 100% of amino acids can be absorbed and used by the body. Including PLATINUM MICELLAR CASEIN® into daily dietary plan, especially after afternoon or night training sessions, results in strong protein synthesis stimulation allowing for instant post-workout recovery and increase of muscle strength. Ingredients: Milk protein concentrate, cocoa1, flavourings, colours (beetroot red2), sweeteners (acesulfame K, sucralose). Recommended use: Mix 1 scoop of powder (30 g) with 300 ml of water, milk or juice. Drink 1 portion between meals and 1 portion 30 - 60 minutes before sleep. Warnings: With sweeteners. Contains milk. Do not use if you are allergic to any ingredients contained in this product. Do not use if pregnant or nursing. A varied and balanced diet and a healthy lifestyle are recommended. Store in a cool, dry place, away from direct sunlight.